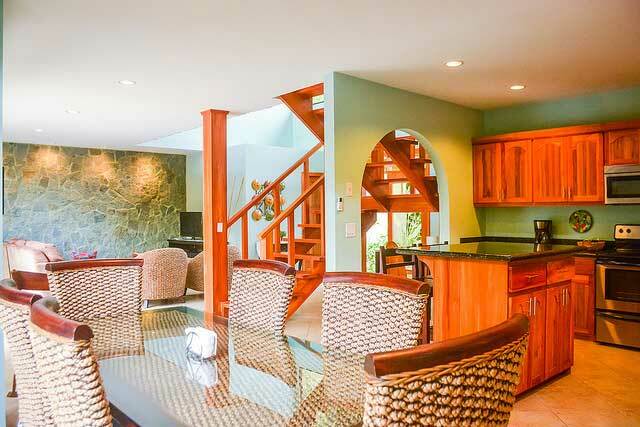 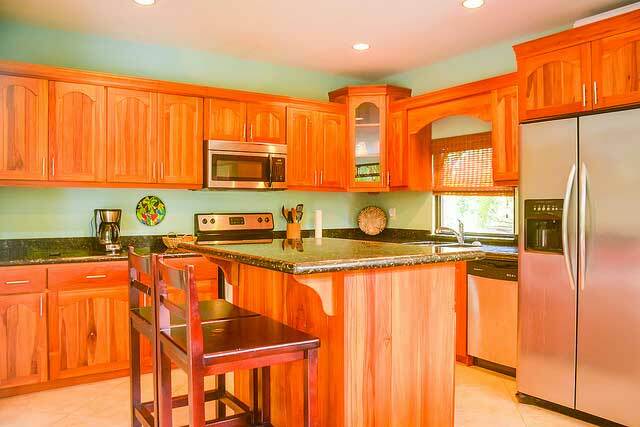 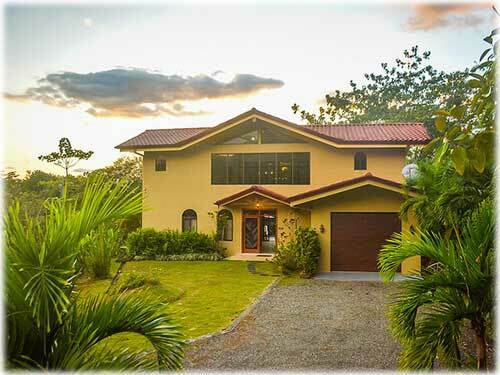 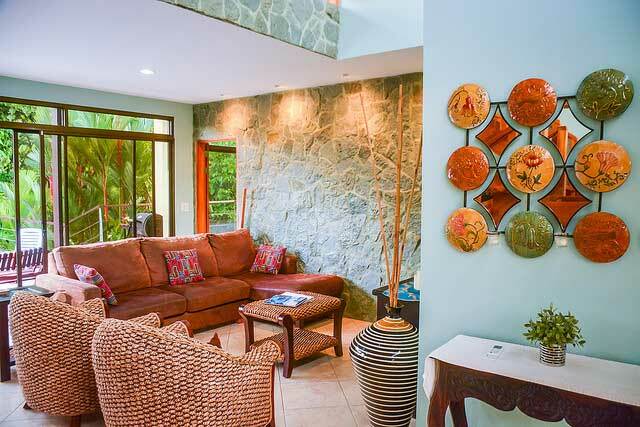 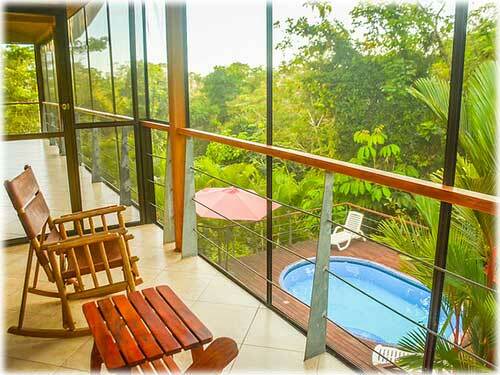 This nature lovers private home is comprised of 2 properties, a 3 bedroom, 3.5 bathroom, 3,067 sq. 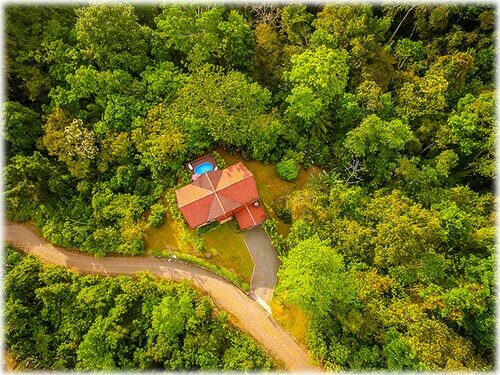 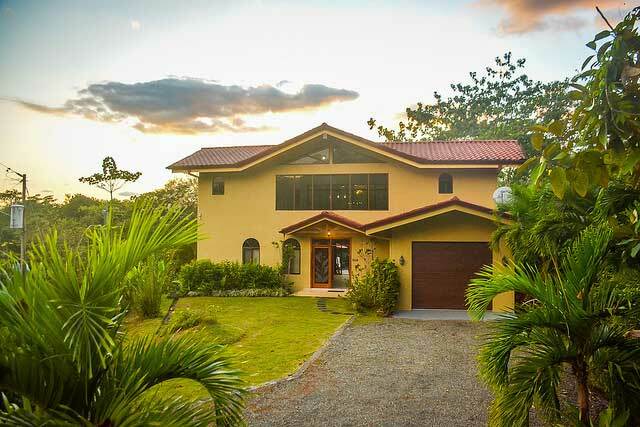 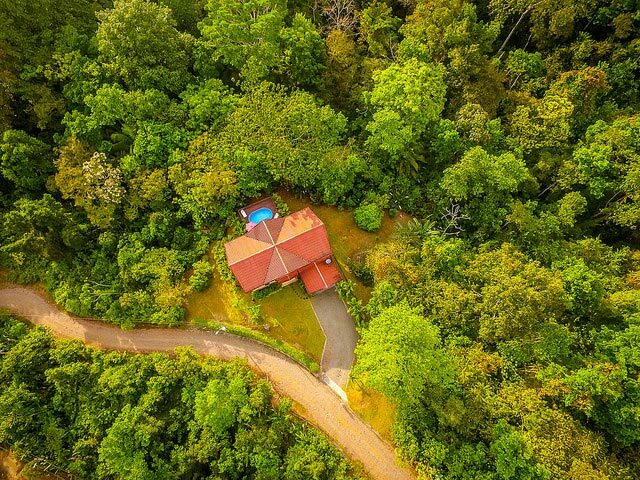 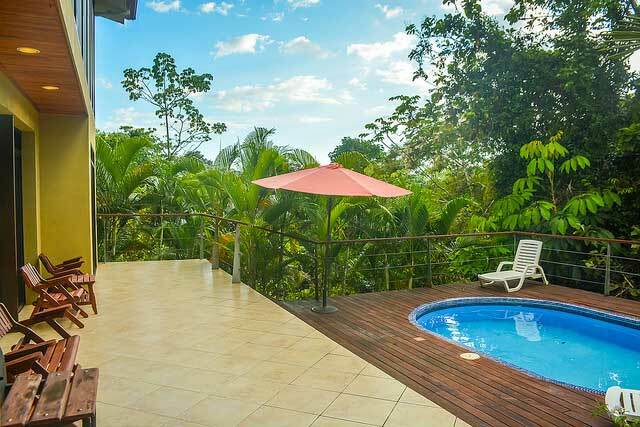 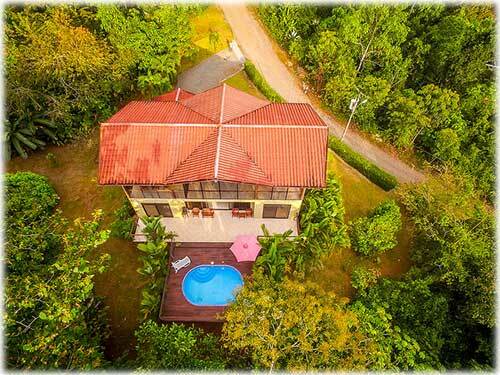 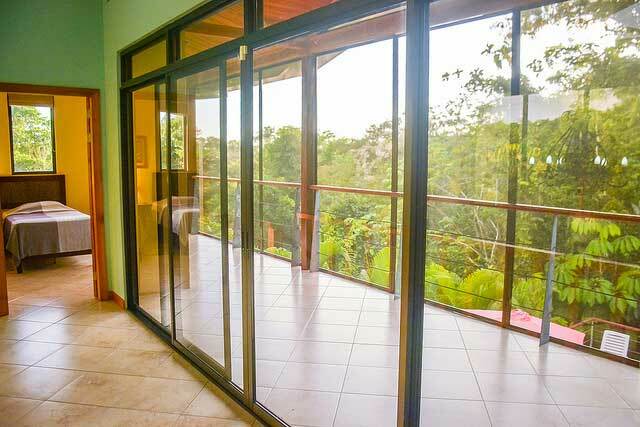 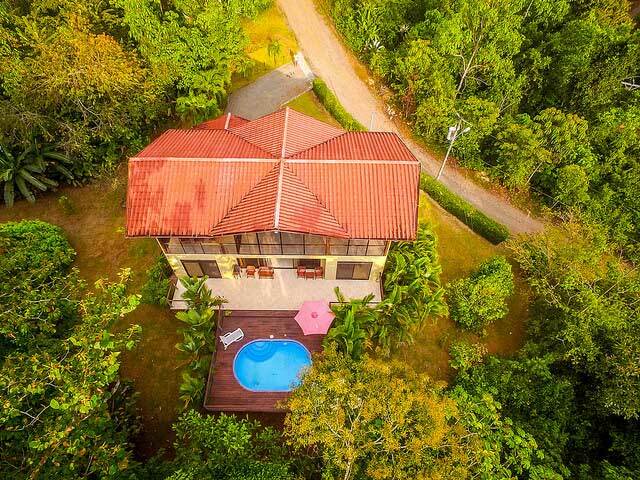 ft. home resting on 5,060 m2 of land and an additional 5,207 m2 of land located behind the principal property, which provides additional area for construction of a second small jungle home. 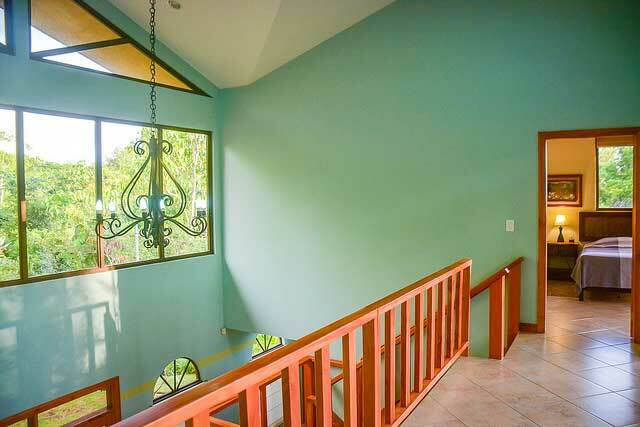 The home features a comfortable layout with vaulted ceilings and large windows which allow you to enjoy the natural surroundings in all areas of the home. 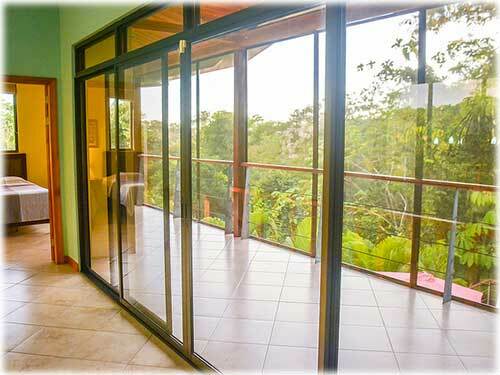 The first floor holds the united TV room, kitchen and dining area, which open onto the outdoor patio. 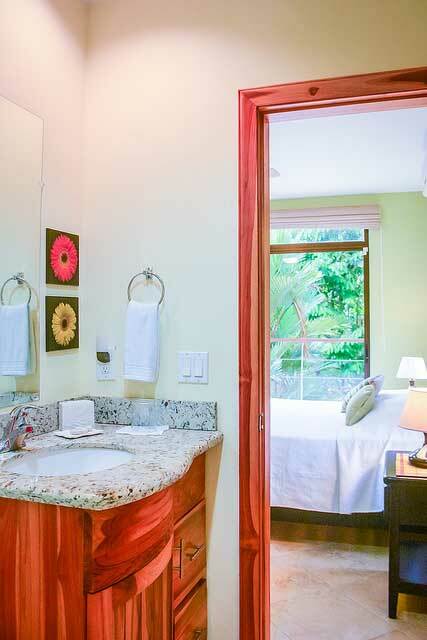 The first floor also holds a half bathroom, the laundry facilities/mud room, and one guest bedroom. 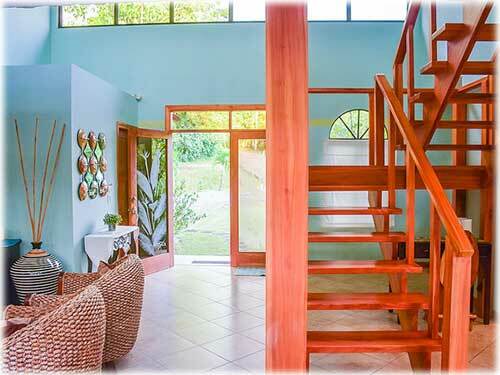 Up the custom designed teak stairway you will find the second guest bedroom and the master bedroom, both of which have direct access to the upstairs terrace which is covered and screened so it can be enjoyed at all times of the day and evening and is perfect for early morning bird watching. 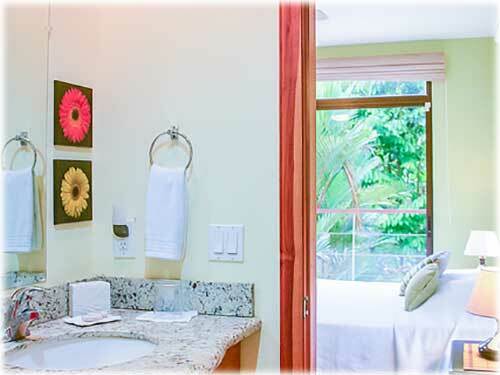 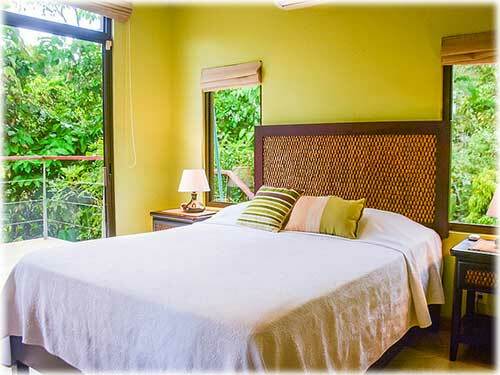 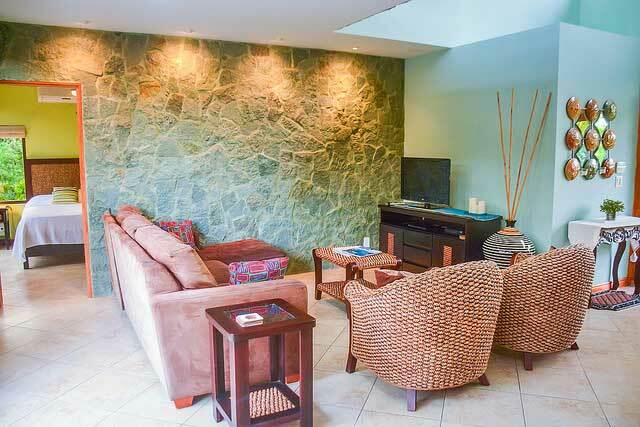 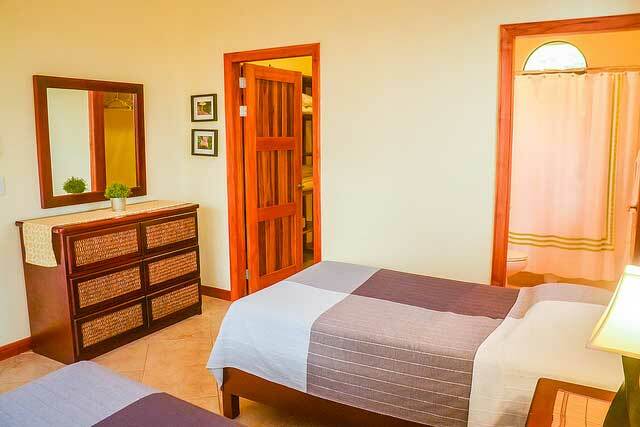 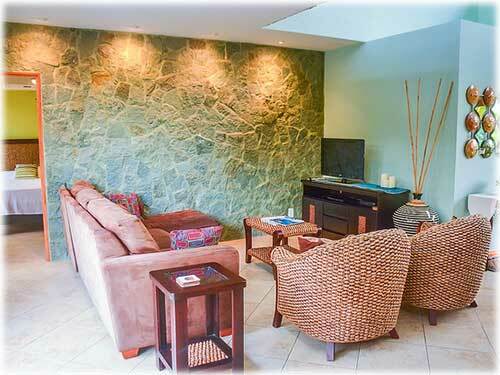 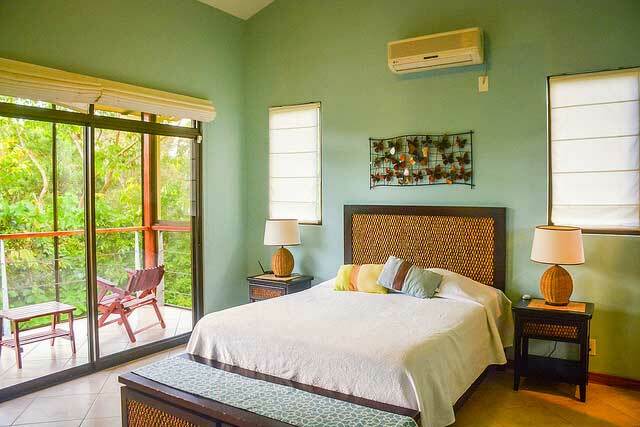 All bedrooms hold over sized walk-in closets, air conditioning and full en suite bathrooms. 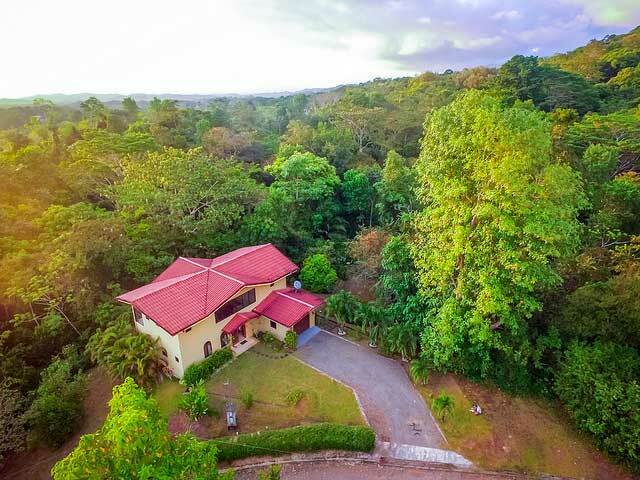 The home also holds a full size garage and the grounds are beautifully landscaped to include mature fruit trees, with plenty of space to plant more. 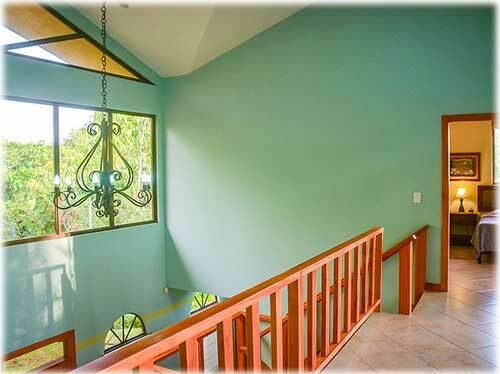 Located within a private residential community, there is a property manager and caretaker in place. 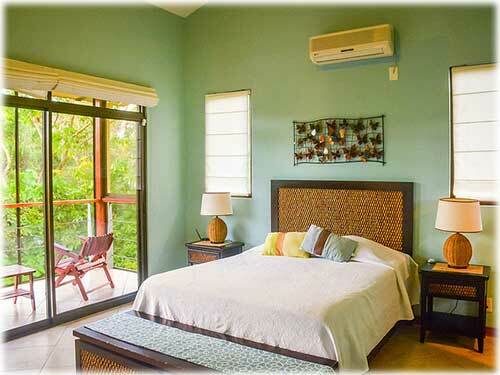 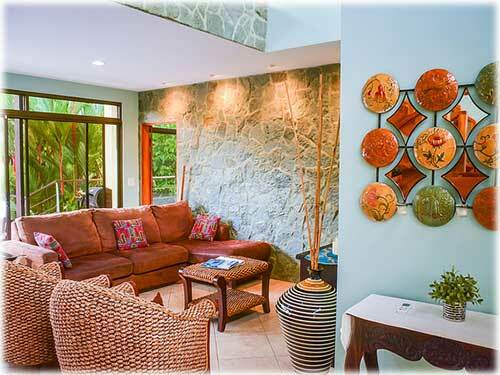 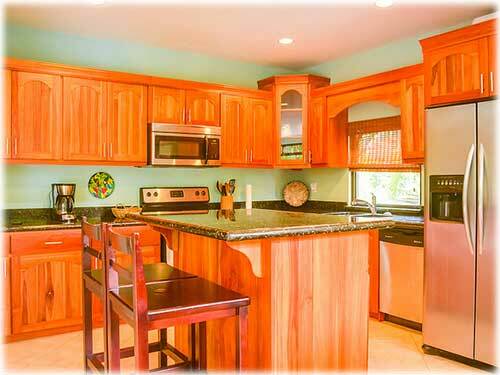 The home operates as a vacation rental with a steady rental history that offsets the expenses of the property. 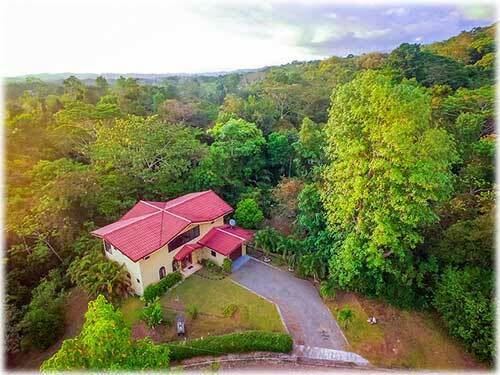 Rainmaker Private Reserve, a private nature park with hiking trails and waterfalls. 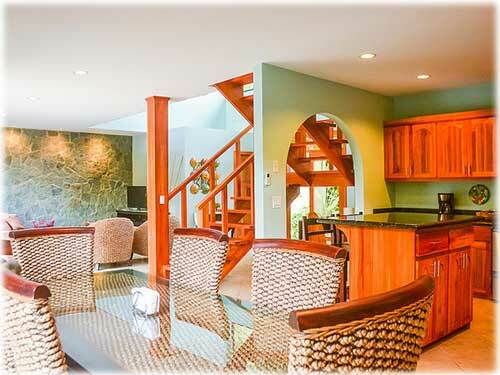 Marina Pez Vela, a world class marina with a variety of dining options, shopping and community events. 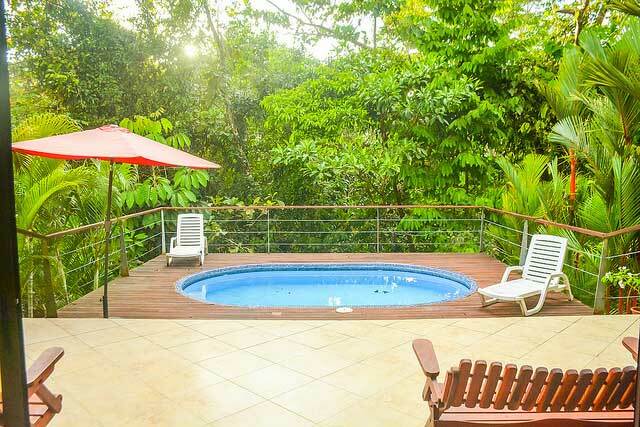 Manuel Antonio Park, which is one of the most visited national parks in Costa Rica, with white sand beaches and abundant wildlife. 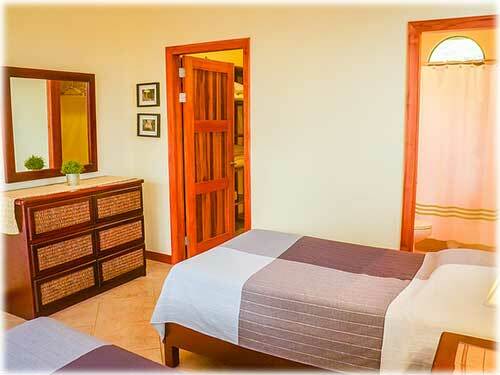 Playa Espadilla, which is a dynamic beach lined with a variety of restaurants and shops. 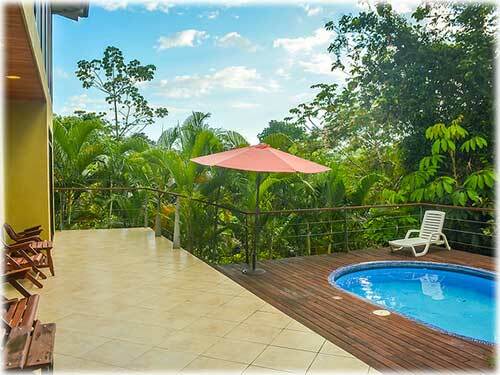 Quepos, which is a bustling town with banks, medical services, fresh markets and the Quepos domestic airport. 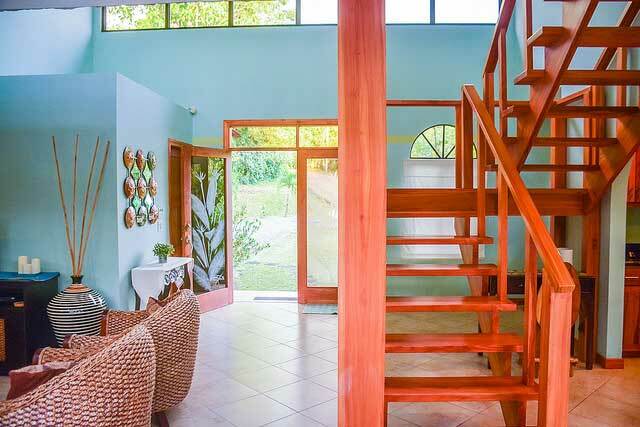 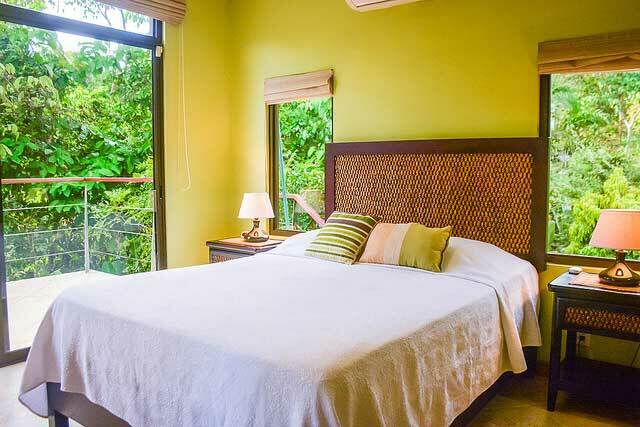 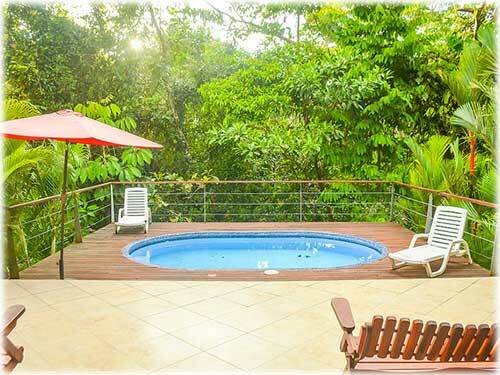 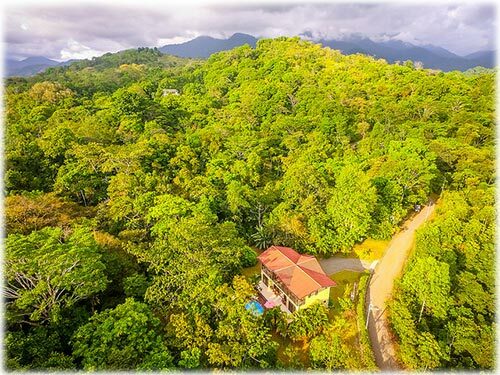 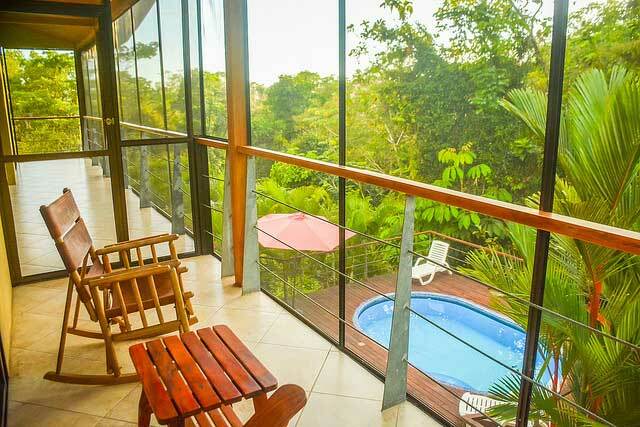 With the private location of this property one can easily enjoy a variety of amenities, yet it provides a tranquil jungle retreat to come home to, where one can take delight in the immersion into the natural surroundings.